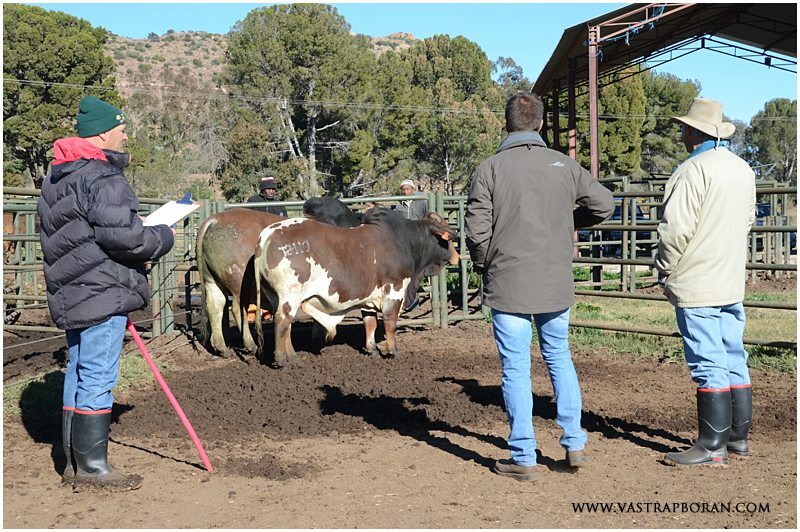 Every year as part of our efforts to ensure that only the best 3-year old bulls are offered at the annual Vastrap Boran Auction, some independent fellow Boran breeders help us to do a visual evaluation of our bulls. It was one of the coldest mornings of the year, but seeing how far the bulls have come made it all worthwhile. We had two visitors from Botswana watching the proceedings and we made sure they were bundled up in warm jackets and beanies! Stompie Olivier (Hotspot Boran) has been showing with cattle ever since he could walk and we highly respect his knowledge and eye. Due to his “showing” experience, he has an excellent eye for conformity and correctness of both females and bulls. 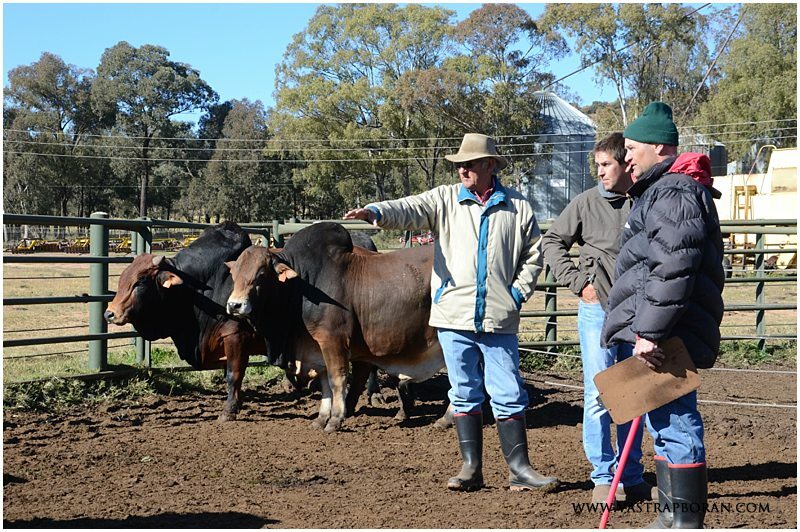 Oom Theo van Zyl (Faurzyl Boran) has been a stud breeder for 30 years and is very strict and picky in his selection of animals. He know what commercial and stud breeders are looking for and which type of bulls breed well. Rikus Stander (Mount Kenya Boran) has a very keen eye for detail and does not miss faults like small testes, bad hooves and leg conformation. He was unfortunately not able to attend our selection day this year. These breeders and cattlemen have knowledge and experience way in excess of ours. They are also not emotionally involved with our cattle and their opinions are not biased due to sentimental attachment to certain dams or sires. We are grateful for their time, effort and the honest opinions and critique they give. 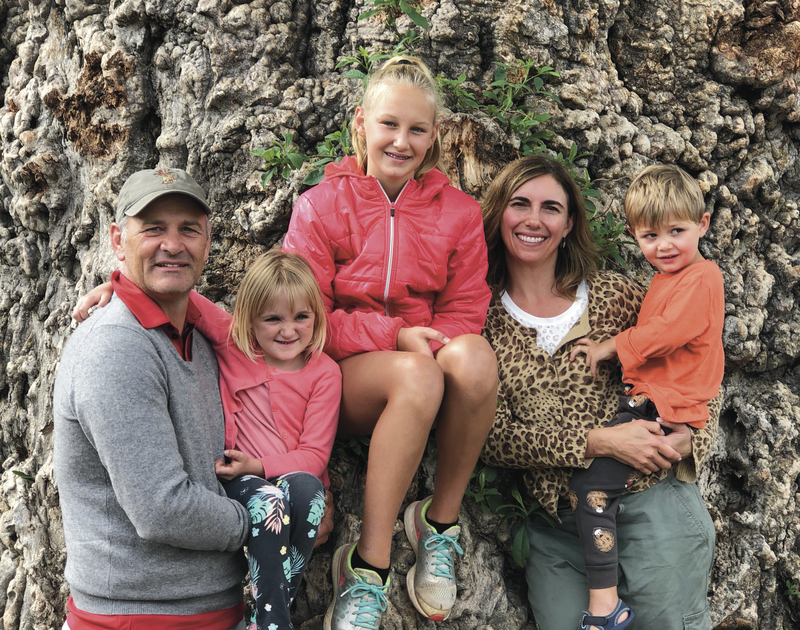 As a stud breeder, Quentin believes that one should continuously learn from those more knowledgeable than yourself, continue to grow, ask questions and take constructive criticism. The path to becoming a better breeder is a journey and not a destination. 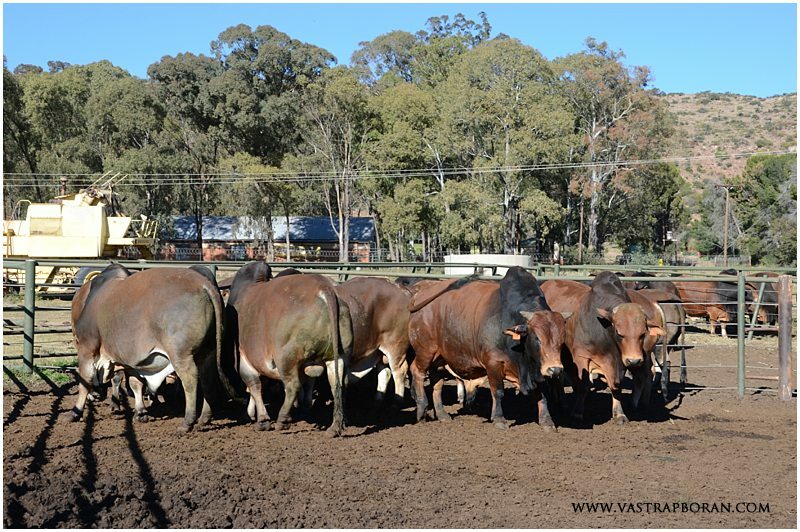 All breeders place slightly different importance on certain attributes and each bull is discussed to reach consensus. The evaluations are based purely on phenotype (not genetics). Structural correctness and meat attributes are used to give bulls a rating of A+ for herd sires, A for stud sires, B+ for top commercial , B for average but passable and C for cull. 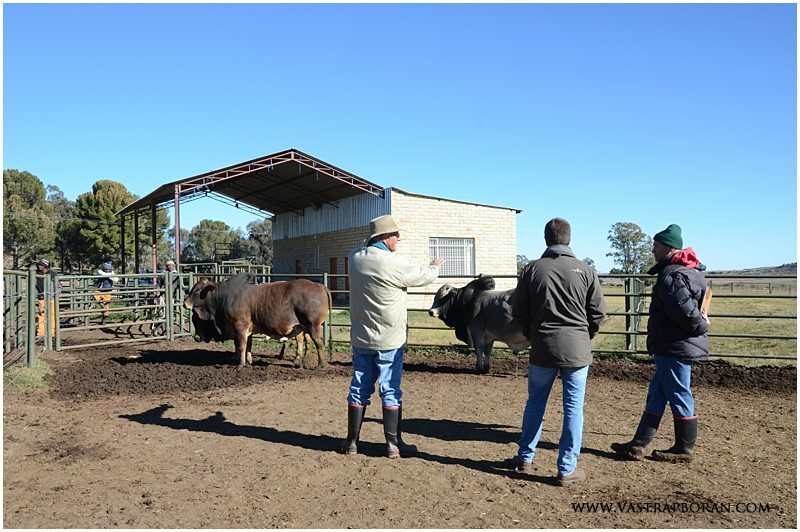 It is quite important to note that these bulls are all fully registered SP Boran bulls, having passed inspection by the Boran Society of South Africa. 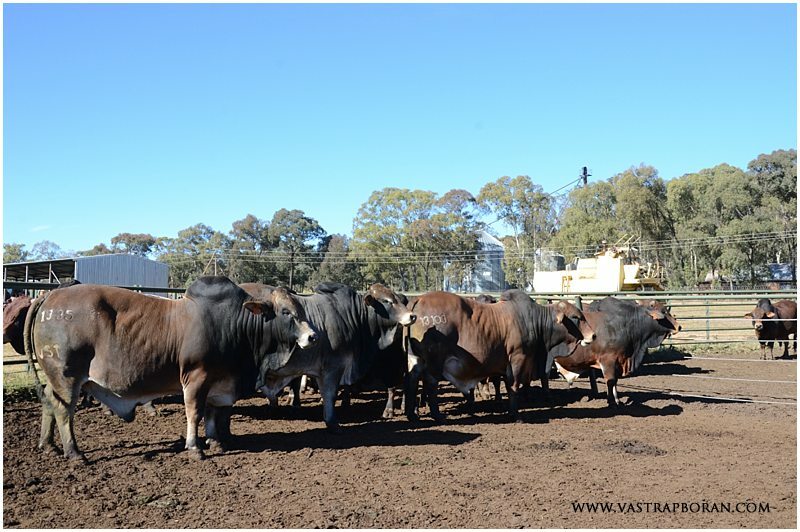 They have also been selected against each other based on their performance in a phase-D veld performance test (see Bull selection and Performance testing). Of the original 70, that started the year, 43 were left over for this physical inspection by the independent breeders. 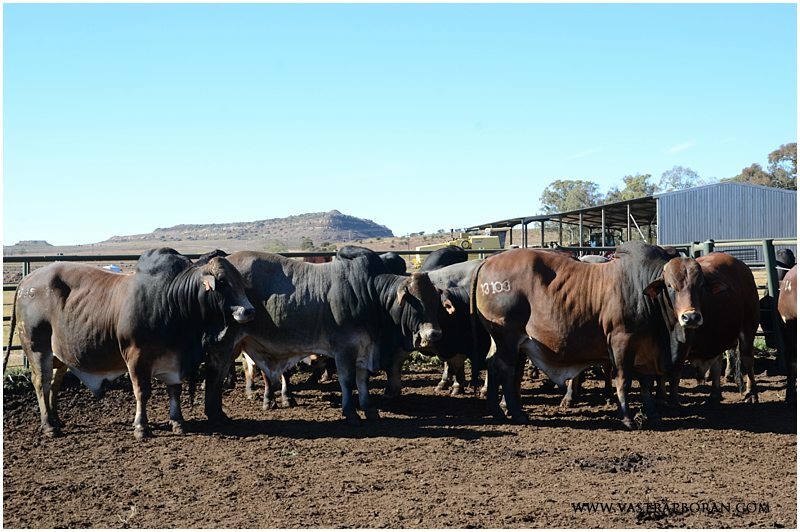 Typically there are about 5 bulls that get an A+ rating, 15-20 that get a A- or A rating, 15-20 that get a B+ rating and about 10 that are B or C. The B’s and C’s are all culled even though they performed well in the veld test, have been passed by the Boran Society, but are not deemed worthy of the Vastrap Boran brand and will not be good ambassadors for the Boran breed. 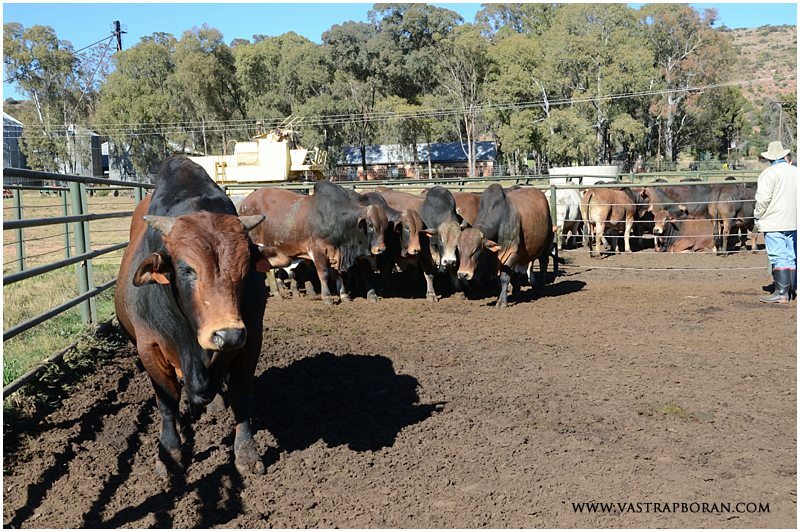 Only 20 of our best 3-year old bulls will be offered at the 2016 Vastrap Auction (Friday, 19 August 2016). These 20 have been selected using a combination of their phase-D veld test performance and their physical evaluation with genetic diversity playing a smaller role. 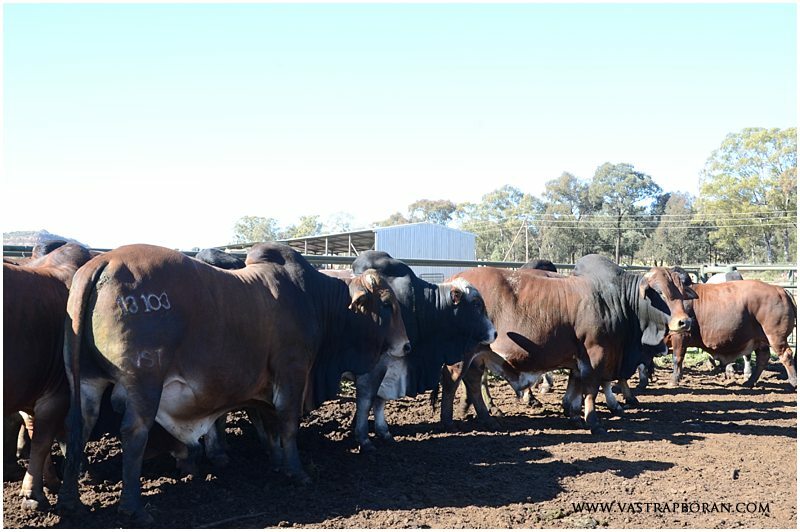 Vastrap bulls not only encompass the best genetic combinations from proven lines, but have also gone through far more rigorous selection than their fathers ever did. Watch this space to see which bulls made the grade in our final selection!